Peninsula Dental Care is a trusted dental clinic offering top of the range wisdom teeth removal for people in the Rosebud, Rye, Dromana, Sorrento, Mount Martha, Blairgowrie, Portsea, Red Hill, Main Ridge, Boneo and Mornington Peninsula areas. Dedicated to effective and painless extraction, our team of professionals ensure you receive high quality of care from the first consult to the last. Be sure to get in touch with us today to learn more about wisdom teeth removal or to book your appointment in our clinic. Why is wisdom teeth removal so important? Wisdom teeth – or third molars – are the last teeth to erupt (become visible) in our mouth, usually in our late teens or early twenties. Most adults have four wisdom teeth, which are often affected by adjacent teeth due to a lack of room not allowing them to erupt. They can become impacted and are often extracted when or even before this occurs. An impacted wisdom tooth is when the tooth does not fully erupt into the mouth due to lack of space in the jaw. Pain can develop, and serious complications may result such as the development of infection, ulcers, and chewing problems. If you continue to suffer from these complications, then extraction is recommended. At Peninsula Dental Care, our oral dental surgeons have the expertise to safely remove wisdom teeth. 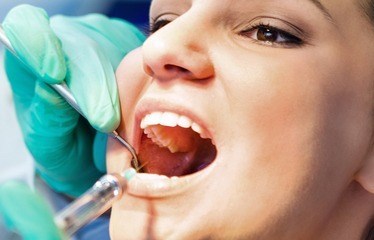 Local anaesthesia is used to numb the affected area and ensure a painless extraction of the tooth. Get in touch with us today to organise a consultation with one of our trusted professionals. The team at Peninsula Dental Care are here for all your dentistry needs. Along with wisdom teeth removal, we also provide crowns and bridges, veneers, dental implants, root canal treatments, dentures, mouthuguards and teeth whitening procedures. Our goal is to give you the smile you’ve always wanted by providing top of the range solutions that are effective, painless and perfectly suited to your needs. Our clinic is located in the Rosebud area, making it perfectly suited to families in surrounding suburbs such as Rye, Dromana, Sorrento, Mt Eliza and the Mornington Peninsula. As a trusted name in the area, you can be sure that you will receive exceptional quality of care every time you visit our clinic. In need of dental care? Call our team today on (03) 5981 2255 or book online peninsuladentalcare.com.au to book your appointment with our trusted team.